Parking is available for the truck. I can have someone available to help load. Can you make a financial donation? Financial donations help offset the cost of pick ups. You can have check or cash on hand at pick up or make a donation through our website. Please attach a photo of your donation. Text a picture to 503-812-7137 or load one here. A photo allows us to better plan our pick up. Tip: Submissions with photos will almost always be picked up faster. In order to stay on schedule, please note we must have donations available at ground level and at home entry. Your donations support our mission of providing a “hand up” to people in need of decent, affordable housing. We partner with local families, veterans, seniors, and people with disabilities to build, refurbish, and restore homes in our community. 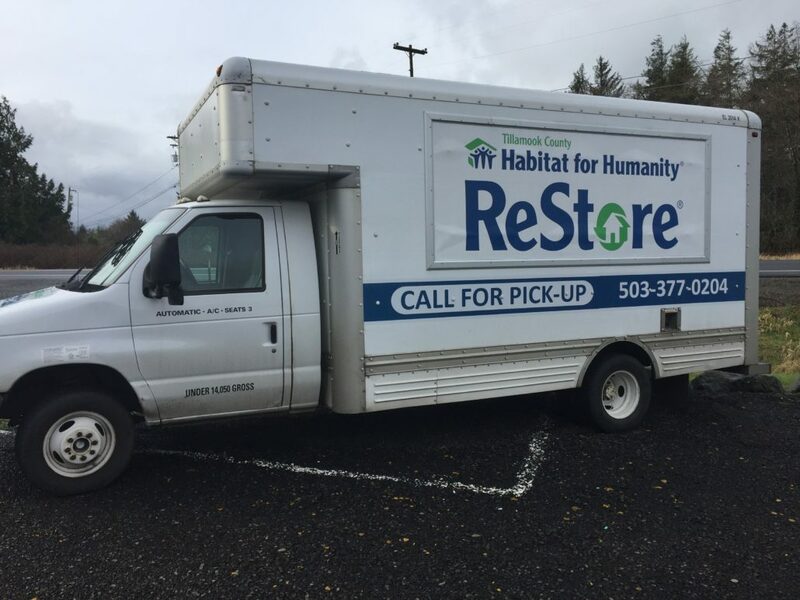 We accept donations of building materials, appliances, home furnishings, landscaping materials, and home decor. Financial donations are also appreciated! For a complete list of items we can accept as donations, see our ReStore page.